“The only source of knowledge is experience” (Albert Einstein) It was true for Mr. Einstein, and it’s true for companies today as they seek understanding about how their products perform over time. One of the best and most insightful ways of gaining knowledge about a dietary supplement product is through shelf life stability testing. The various tests, conditions, and evaluation protocols available during a shelf life stability analysis offer an in-depth understanding of the short term and long term changes in the product. This process adds value that is particularly rewarding when the work is done in pre-market R&D stages. For products that are in the high-risk category when it comes to physical and sensory instability, the process becomes even more critical. Sensory descriptors such as flavor, aroma, appearance, and texture are typically one of the first indicators of the formulas instability. Resourceful R&D teams can then use the data and proactively make changes to remove the instability precursors while saving hundreds of thousands of dollars or more from future product returns, customer complaints, and negative brand reviews. Edgar Grigorian, VP of Technical Affairs for Dyad Labs, offers the following insight, “Stability testing for the shelf life determination of dietary supplements is a topic that frequently comes up during product testing discussions.” Typically, these conversations are initiated due to some type of regulatory requirement or customer complaint. For this reason, it is instructive to look to the brands and manufacturers who are preventing problems before they occur through effective stability testing programs. 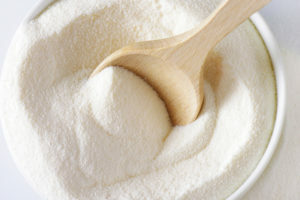 In some unique and encouraging instances, a proactive stability testing process is initiated to ensure compliance with regulatory requirements, and to gain valuable knowledge about the shelf life stability performance of the specific dietary supplement product. In very rare and commendable instances, shelf life stability studies are initiated prior to the product introduction to the mass market. Unfortunately, brands and manufacturers without effective stability programs risk facing substantial negative repercussions; many of which could be avoided with a solid plan in place. Over the last couple of years, a large number of shelf life stability related articles have been published that cover the regulatory requirements. While these articles do a great job of setting the shelf life stability testing landscape, they primarily concentrate on general technical details. In order to add to this body of knowledge, here, we will provide observations from a contract testing laboratory perspective. Maintaining a successful shelf life testing program requires full commitment and engagement by all involved parties. Often when undesirable results or stability trends are observed during the testing process, commitment falls through and the program is abandoned. This outcome, obviously, does not help the company achieve the full potential of stability testing programs. Due to their demand, stability programs require financial resources, time, follow up, and experience in order to successfully complete each individual study. Understanding and accepting this commitment is a prerequisite to establishing a meaningful stability program. However, for brands who are steadily committed to quality, consumer well-being, R&D innovation, and effective partnerships, the return is well worth it. “A well-defined objective for each stability study is crucial,” says Grigorian. This is because the requirements for each study vary based on product type, matrix, climatic zones, stability conditions, and length. In addition, the requirements may change based on stage-specific differences for each product. For example, a study designed to understand the effects of product transport and storage in specific regions will have a different set of requirements to accomplish the stability study objective. 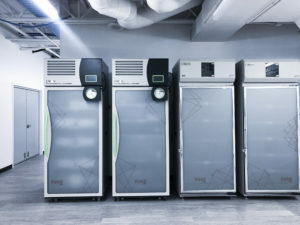 While an accelerated, intermediate and real-time stability study will have different storage conditions, lengths and specific sets of requirements. Jointly, a successful implementation of the stability program is much easier when laboratory partners have experience with similar product categories to help clearly define the stability study requirements. A partnership approach between the product manufacturer, flavor developers, and laboratory services team can significantly shorten the time it takes to develop or improve the stability profile of any given product. Through experience, well-versed laboratories are able to add value to the partnership and investment. By leveraging historical shelf life stability data to specific product delivery systems, sensory profiles, chemical, physical and microbiological stability indicators, qualified laboratories maximize the potential of the program. Through stability testing brands are able to gain more knowledge about their product, understand the potential challenges in advance in order to prevent them, and increase the promise of consumer well being and retention. 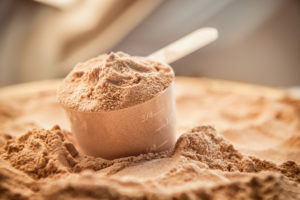 While stability testing for the shelf life determination of dietary supplements is typically not a high priority item, this crucial program is a worthwhile investment and commitment for both established and growing brands alike. To learn more about how a stability testing program can add value to your brand, contact Dyad Labs for more information. 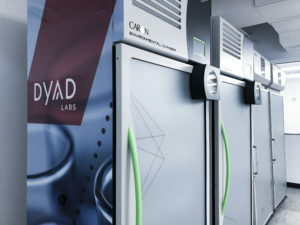 To learn more about Dyad Labs and our facilities, explore our capabilities. Together, we are Dyad.